This product includes an engaging, 980L Nonfiction reading about Bats (This is a great article to link in any science units on ecosystems). Students will read and analyze the following article as they complete a CER worksheet. 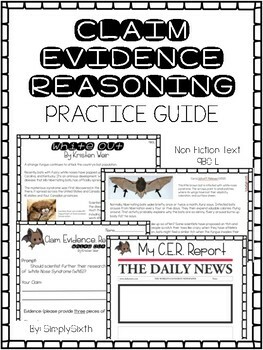 This resource walks students through a step-by-step guide on how to write a CER- claim, evidence, and reasoning response. This product also includes a fun, summative activity. Students write or type their final constructed response on a newspaper document where teachers can print & hang up in their classroom! 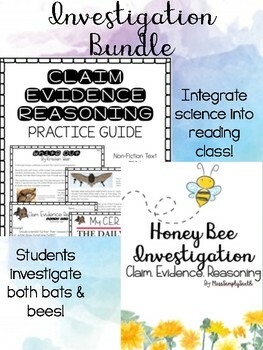 This product includes two articles (links connected to two NewsELA articles) reading about Bees (This is a great article to link in any science units on ecosystems). Students will read and analyze the following articles as they complete a CER worksheet. 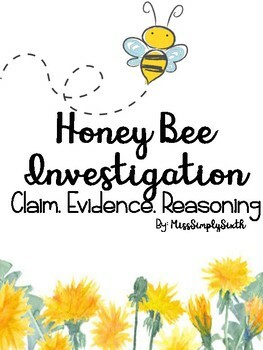 This resource walks students through a step-by-step guide on how to write a CER- claim (write their stance on the prompt -Honey bees only help farmers, they do not help the environment) - evidence, and reasoning response.